I believe Silicon Valley investors have a diversification problem. I meet with many prospect clients who either heavily invest in technology companies or they invest in index fund portfolios. There is a Home Bias well-known in behavioral finance to invest in what you know in your local area; technology employees will invest in other technology stocks they understand. I also see many prospects who invest in portfolios of index funds because they have read that they are efficient and low-cost ways to have a “diversified” portfolio. An important consideration for investors in the Silicon Valley is that they are often already concentrated to growth industries when viewed from a total net worth perspective. First, many Silicon Valley investors are technology employees who have equity awards (stock options, restricted stock units, etc.) in the shares of their employer, a growth technology firm, that also make up a significant part of their net worth. They also have career risk with all their future income dependent on that firm or sector. Workers at start-up and venture capital firms with significant illiquid assets in small private growth companies are extreme examples of concentration of wealth in growth sectors. Even those of us in service businesses that are not in the technology industry per-se such as law, health care, and financial planning, often depend on clients that are in the technology space for revenue. Still further, investors who own homes in the Silicon Valley should consider that the value of that real estate, often a big component of their net worth, also depends on the technology sector. Many homes here are in fact sold to buyers who use cash proceeds directly from IPOs or acquisitions in the technology space. In short, investors in Silicon Valley are already very dependent upon the technology sector and do not need additional concentration in technology growth sectors through index funds or more exposure to technology stocks. I believe they should be seeking uncorrelated assets to add to their portfolio in order to enhance diversification. Indexes, and hence index funds, are generally market-capitalization weighted. This means that as constituent shares appreciate and their market cap grows, they become larger constituents of the index and exert larger influence on the performance of that index. For example, the weighting of technology companies as a constituent in the S&P 500 Index has increased recently to 26%, by far the largest sector weighting in the index, from 20.8% at the end of 2016 and compared to 19.6% average over the past 10 years.1 The same is true in the MSCI Emerging Markets Index, another frequently-utilized index, where the weighting of technology stocks was recently 26.9%, again the largest sector weighting in the index, up from 23.3% at the end of 2016 and the sector’s average weighting over the past 10 years of 17%.2 Accordingly, these index funds give investors increasing exposure to growth stocks, particularly technology-driven growth stocks, as they have risen and become larger weightings in the indexes. Index investing and investing in asset classes (Asset Class Investing) are two different approaches to passive investing. While the two have similarities – like lower fees, strong performance relative to active funds, no market timing or stock picking, broad diversification, and tax efficiency – there are some important differences. Asset Class Investing is based on asset classes – custom-made groups of securities with similar risk characteristics, like value company stocks, small company stocks, and international bonds. Asset Class Investing attempts to capture the performance of a specific market segment, while index investing simply attempts to track the performance of an index. Asset Class Investing also incorporates the Fama-French Three-factor Model “factors of return,” which are additional stock exposure demonstrated to add return to a diversified portfolio. Drawing on decades of investing research and the work of Nobel Laureates including Eugene Fama of “Fama and French” fame, Asset Class Investing pursues the known factors of return when constructing Asset Class funds. The factors that offer return premium over broad stock market returns over time are additional exposure to value companies, small capitalization companies, and high-profitability companies. Because these Asset Class funds are constantly “tilted” toward value stocks, they do not emphasize growth and technology stocks like the index funds do, thereby offering valuable diversification benefits to investors exposed and concentrated to growth stocks. Over the long-term, not only should value stocks offer higher returns than growth stocks, according to academic research, they also provide Silicon Valley investors needed diversification. Admittedly, it has served investors nicely from a return perspective (not necessarily from a diversification perspective) in recent years to be increasingly exposed to growth and technology shares during this bull market as index performance has been quite concentrated in these types of stocks. However, that is an observation with hindsight and we need to question what the future may hold. Analysis from Research Affiliates, a research and mutual fund company, concludes that market capitalization indexes buy more and more of shares that are rising, in order to track the index, which results in buying high and then selling low. When they researched the top-10 companies ranked by global market capitalization over the past 20 years, they concluded that “on average, only 3 stocks in the top-10 list remain on that list 10 years later. The 7 companies that fall off the list reliably underperform the 7 newcomers that take their place, and importantly the 7 dropouts have a larger index weighting at the start of the 10-year period than the 7 additions that replace them. Almost all of the 7 deletions also underperform the MSCI All Country World Index (ACWI) in the year they fall off, and the great majority are serious performance laggards over the decade in which they are replaced.”3 As of the end of the third quarter 2018, the top 10 global companies ranked by market cap are Apple, Amazon, Microsoft, Alphabet, Berkshire Hathaway, Facebook, Alibaba, Tencent, JP Morgan Chase, and Johnson and Johnson.4 Seven of these top-ten are technology companies. Will history repeat itself? Silicon Valley investors would benefit from having value stocks represented in their portfolio. Growth stocks have outperformed value stocks for quite a few years at this point so it may be prudent to rebalance toward value stocks. Through stock market history, growth and value stocks have gone long periods of time outperforming or underperforming one another. Growth currently has outperformed Value since 2014 as measured by returns on the Russell 1000 Growth Index minus Russell 1000 Value Index.5 Additionally, current valuations for value stocks relative to their historic valuations are more appealing than those for growth stocks. The relationship between growth and value is cyclical, with strong outperformance often leading to strong underperformance for an extended period. With growth valuations at relatively high levels and record highs for equity markets overall, it may be a good time to consider reducing risk and rebalancing or allocating more to value stocks. With increased longevity and longer retirement periods facing Silicon Valley investors, the way that retirement portfolios are implemented has never been more important, and they need to maximize their likelihood for success. If an investor invested all their money in a market index fund that tracks the S&P 500, they could be missing out on the potential long-term benefits of a globally diversified Asset Class portfolio. Let’s assume they had unlucky timing and invested at the beginning of 2000, near the top of the dot.com boom, through 2017, and invested in the S&P 500 Index and compare that to investing in a “moderate” globally-diversified Asset Class portfolio that is 65% stocks and 35% bonds. This is a difficult period to have been invested since there were two bear markets during the period, one being the second worst bear market on record. Over this period, the Moderate Risk Asset Class Portfolio had an annualized net rate of return of 5.7% while the S&P 500 returned 5.4% per year. Most importantly, there was also almost a third less volatility in the asset class portfolio than the S&P 500: 12.65% standard deviation for the asset class portfolio versus 17.96% standard deviation for the S&P 500. The asset class portfolio return is after both the funds’ internal expenses and 0.90% of fees (there are no fees applied to the S&P 500 example).6 Despite significantly less volatility and the strong performance of the S&P 500 since 2009, the asset class portfolio has still achieved somewhat higher returns with significantly less volatility. A passive investing approach using an asset class portfolio will work to maximize returns over the long-run and also provide necessary diversification for those of us in Silicon Valley. 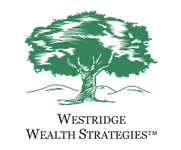 Implementing this approach, together with all of the services of comprehensive wealth management, gives Silicon Valley investors the best likelihood for success in pursuing their financial goals. Investing involves risks including the potential loss of principal. No strategy can assure success or protects against loss. Past performance is no guarantee of future results. Diversification and asset allocation do not guarantee a profit nor protect against loss in a declining market. They are methods used to help manage risk. The S&P 500 is a market-cap weighted index composed of the common stocks of 500 leading companies in leading industries of the U.S. economy. Indices are unmanaged and cannot be invested into directly.